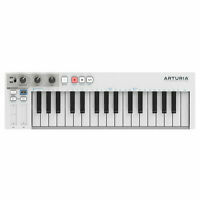 Arturia Solina V2 String Synth. The Solina V is our latest venture into classic keyboards. We have modeled and faithfully reproduced the classic Arp/Eminent Solina string ensemble to generate those warm and fuzzy string sounds that graced so many hit records.